There’s a newspaper in my Rust Belt hometown that has barely changed since I learned to read. You know this story. The front page is a mix of town board trivialities and newswire articles. Somewhere there’s a photo of students beaming over an accomplishment. On Sundays, an old columnist hearkens back to the halcyon days. My hometown newspaper isn’t alone. From staff and paycheck cuts to creeping errors and new competitors that siphon away readers and advertisers, there’s an urgent need for news organizations like this to modernize or fade away. And yet, many have failed to evolve. I don’t blame them. It’s hard to re-imagine what you’re doing when the thrum of the daily news cycle is the loudest sound in the room. Gimlet Media might be the opposite of my troubled hometown publication. In two years, the Brooklyn-based podcasting startup has raised millions of dollars through venture capital and crowdfunding, launched six new shows and hired more than 40 staffers. Gimlet is getting everything right. But last month, Gimlet shut down its regular production cycle to test how effectively a media organization can change without the mandate to publish. From Feb. 8-12, there were no new episodes of “Reply All” (well…sort of), “Startup,” “Surprisingly Awesome” or anything else. Instead, the entire staff furiously worked on pilots for five all-new shows during the first-ever Gimlet Mix Week. 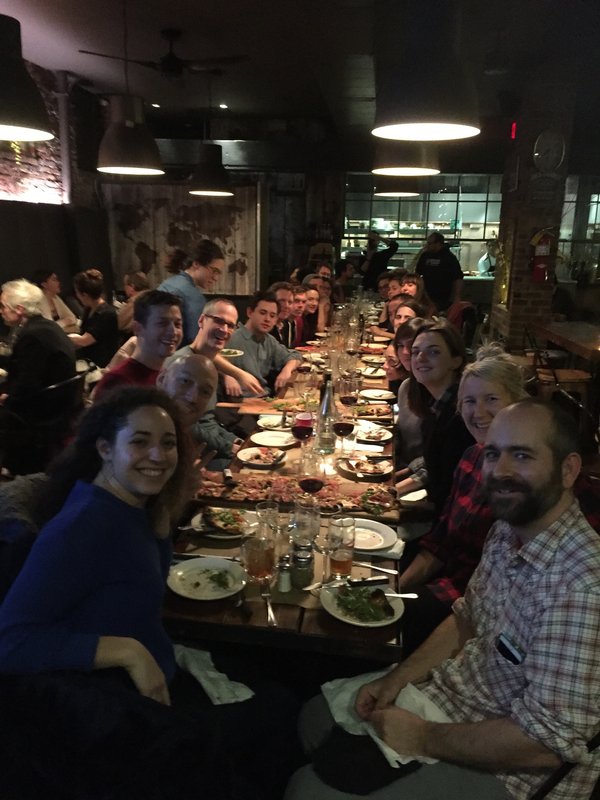 Gimlet staffers celebrate a day of exploring New York with a dinner. On Monday of that week, Peter Clowney, a senior editor at Gimlet and the “chief” of Mix Week, mixed the company’s silos — production, business and all — into five groups tasked with creating a pilot episode by Tuesday afternoon. Wednesday was a day for rest. On Thursday, staffers had to do something in New York that they had never done before. Friday sent them all back to their typical work. Employees loved the experiment, Clowney said. At 5 p.m. on Tuesday, Gimlet staffers had drinks and snacks and played the pieces, but people were still mixing their shows a minute before. The pilots were never intended to reach the public (though one was sent to paying members), but to encourage the staff to be inclined toward action. Creative companies need to find a balance between reliability and risk-taking, Gimlet founders Alex Blumberg and Matt Lieber wrote in a Medium post. But as companies become more established, they have a hard time feeling the urgency required to take risks. Much of Gimlet’s staff came from public radio, where producers are often myopic and rarely venture outside of their own shows, Clowney said. The co-founders saw staffers begin to replicate that legacy behavior and asked Clowney to design Mix Week to to encourage creative risks and build connections across the team. It’s not entirely fair to question why a century-old community newspaper isn’t taking the same gambles as Gimlet. The podcast startup is flush with cash and has hired more than a dozen employees just this year. And “Reply All,” one of its most successful podcasts, already takes a bye week every month — another one is mostly a blip for the audience. Clowney said they didn’t hear much concern when Gimlet announced it would take a week off. Still, I’ve often wondered why small-town publications have shrugged off change while competitors have arisen with fresh ideas. “I have been in that position of trying to change a more mature company from the inside and it is much harder,” Clowney said. 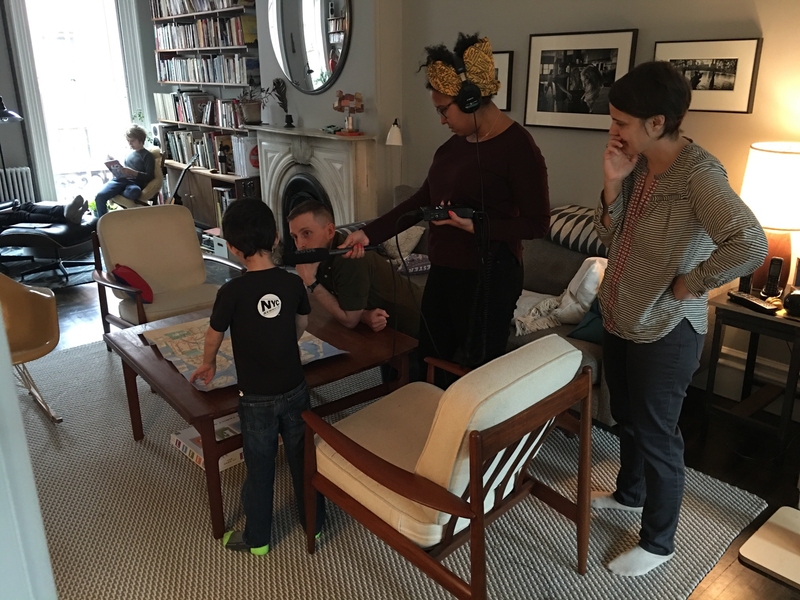 Producer Wendy Dorr’s son sends Brittany Luse and Luke Malone, also producers, on an adventure during Mix Week. What might happen if more newsroom leaders freed up a few days — if not to reinvent the wheel but just a few spokes? Between broadcast news, the major metropolitan paper and the slew of websites covering local issues, I’m sure my hometown would be fine without its little two-section, 16-page paper for a week. There’d be a financial impact, but I’d bet advertisers would clamour to be in the first paper after the hiatus to get in front of the curious audiences looking for changes. Why haven’t more news organizations tried this? My guess is that publishers fear losing audiences if they stop publishing for a few days. But Gimlet’s shutdown proved that’s not necessarily the case, provided the outlet allows for a little transparency and the promise of more great work. Leaders, work with employees to clear their schedules. At Gimlet, staffers were told in advance to make arrangements for their work, and leadership made sure people didn’t have other work to do. Leaders should participate, too. Blumberg was eager to assist groups that needed help. “When the head of the company is running around asking people what they need, that’s really meaningful,” Clowney said. Keep new silos from forming. Gimlet has a fairly unique problem in media — it’s growing too fast. New employees were using tools differently from longer-tenured staffers, and vice-versa. Mix Week connected people who hadn’t worked together before. “It’s really good whenever you’re infecting people with each others’ knowledge,” Clowney said. This certainly applies to legacy news organizations, which tend to see a lot of turnover at the lowest levels. Appoint a leader to define the week. When Blumberg and Lieber assigned Clowney to run Mix Week, he immediately began to have private conversations with staff to see what they needed. Use limitations to enhance creativity. Clowney “baked up a whole bunch of rules” but ultimately settled on three: No current hosts can host, podcasts must be 20 minutes or shorter and the teams had to be done by Tuesday night. Measure outcomes. Gimlet leadership surveyed employees after Mix Week to determine if it had been useful and to find actionable steps. The response was almost universally positive. Employees rated Mix Week a 4.69 out of 5 and called it fun, collaborative, creative, inspiring, exciting and challenging. Based on this feedback, Gimlet is considering having two Mix Weeks annually, Clowney said. Correction: A previous version of this article stated that Gimlet staffers listened to the pilot episodes on Friday evening. In fact, they listened on Tuesday evening.